This collection of essays and journalism cover a wide range of topics, from balancing prosperity and public expenditure or the mental differences between boys and girls to 'who may use lipstick'. 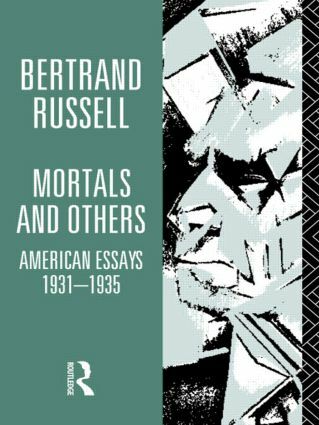 Mortal and Others shows the serious and non-serious side of Russell's personality and work. It provides a lively and revealing introduction to Russell's thought for all readers. First published in 1975, Mortals and Others is at last available in paperback with a new introduction by John Slater. Are Criminals Worse than Other People? Whose Admiration Do You Desire? Is the World Going Mad ? Are W e Too Passive ? Are Men of Science Scientific ? Why Are W e Discontented? Should Socialists Smoke Good Cigars?